Did you know that eating healthy foods is one of the best ways to build a healthy brain?! During the first year of life, the brain grows 1.7 grams each day (that’s a little more than the weight of a shelled peanut!) Children who are malnourished and who do not receive enough calories or protein during prenatal development through their second year of life do not grow physically or mentally. Their brains are smaller, resulting in the emergence of behavioral and cognitive deficiencies. This can lead to delayed language development and fine motor skills, as well as poor academic performance. 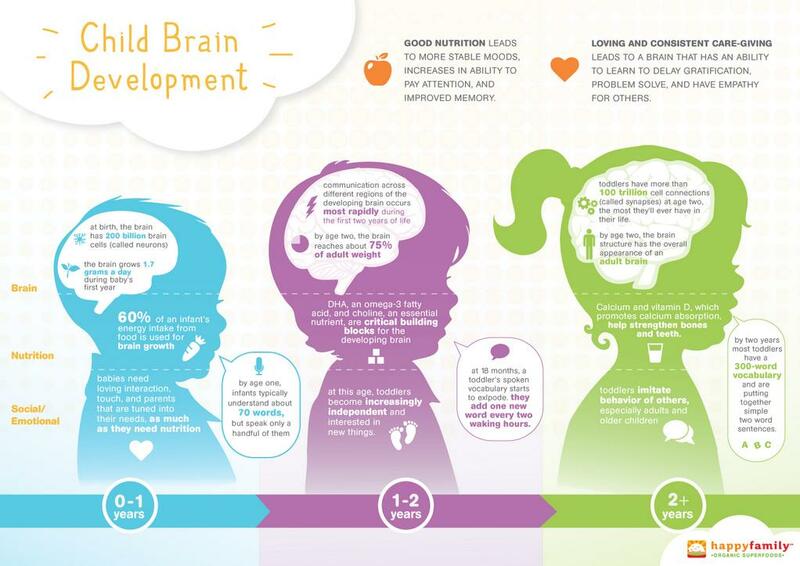 Communication across different regions of the developing brain occurs most rapidly during the first two years of a child’s life, when the brain reaches 75% of its adult weight! We learned about synapses earlier in this blog series and it’s important to note that toddlers have more than 100 trillion synapses– the most they will have in their entire lives! A fatty substance, known as myelin, speeds up these synapses. It also helps make communication more efficient by reducing interference from other reactions in the brain. The development of myelin is a long-term process in brain development and continues until around a child’s fifth birthday. So now you’re probably asking yourself what you can do at home to help. Because about 60% of a dried brain’s weight is fat, it’s no wonder deficiencies in specific kinds of fats can have huge repercussions on intelligence and behavior. DHA, an omega-3 fatty acid, and choline, an essential nutrient, are critical building blocks for the developing brain. When it comes to infants, breastmilk and formula are full of the healthy fats needed to grow their brains. 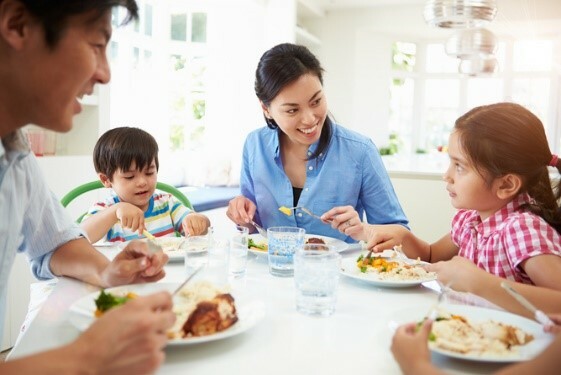 You can ensure your toddlers and older children are getting enough essential brain-building fats by serving them plenty of seeds, nuts, and fish each week. Additionally, serving three meals and two snacks daily should keep your child’s brain fueled and ready to properly function. When it comes to meals, you’ll want to combine a protein with a carbohydrate. Protein (found in meat, fish, legumes, and seeds) help slow the absorption of sugars found in carbs (fruits, vegetables, and whole grains). For instance, cereal should be served with milk, fruit with yogurt, toast with egg, or bread with a nut butter. When it comes to snacking, any complex, healthy sugar will work. These include whole fruits and vegetables, whole grains, nuts or even cheeses. Do your best to help your child eat at least five portions of fruits and vegetables a day through their meals and snacks. Fruits and vegetables are what keeps the brain in tune! They are packed with vitamins and minerals and are great for your child’s developing brain and body. When it comes to keeping your kids hydrated, water and milk (with occasional 100% juice) will suffice for your child’s daily drink intake. Breastfed and formula fed infants do not need additional water, as their breast milk and formula should suffice. Games, videos, art, and printable resources from Sesame Street on Healthy Habits!